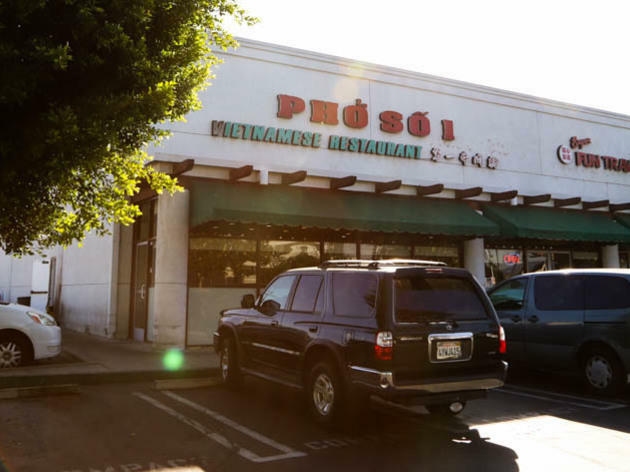 Slurp away over a bowl brimming with thin slices of rare steak and brisket, rice noodles and fresh bean sprouts; or munch on crispy spring rolls (they taste even better dipped in the accompanying fish sauce) at LA's Vietnamese staple, which has multiple locations around the city. Lunch time can get particularly crowded, so be prepared to wait. 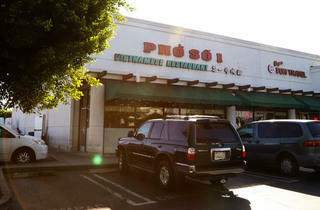 Oh, Pho So 1 – how I love you so. Nothing beats a large bowl of pho on a cold winter night. Too bad in California we don’t get too many of those. Thankfully, I still get bowls of pho. So much more thankful that pho so 1 is so close to home. Their service is extremely quick. Pretty sure I’ve had a bowl delivered to me before finishing saying “pho tai” to my waiter. How? Not sure. But I like it. Their fried egg rolls are even more on point. Only issue I have is there tends to be a little bit of a wait on the weekends. Can I get a fast pass? Prices are very reasonable so it makes the wait worthwhile. The overall ambiance here isn’t gonna impress the new gf (unless she’s super cool *raises hand) so maybe hold off till date 2 – but other than that – so much love. Also, one of the many perks is Ranch market is next door and who doesn’t want to top off their night with a box or 2 of Pocky chocolate sticks?